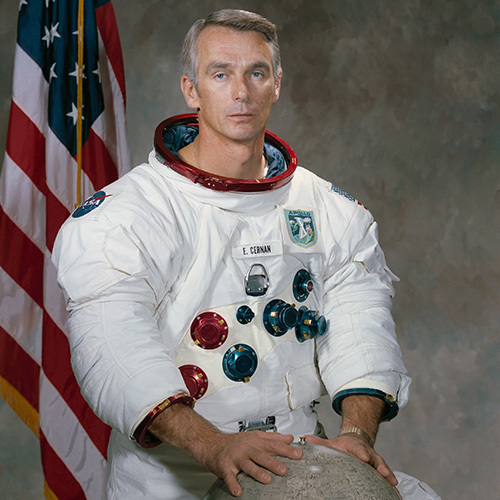 The late and much missed Captain Cernan travelled into space three times. He was Pilot of Gemini 9A, performing a challenging and dangerous spacewalk. He first went around the Moon on the Apollo 10 test flight. As commander of Apollo 17, Cernan became the eleventh person to walk on the Moon and was the last man – so far - to have walked upon its surface. He is the subject of the acclaimed documentary The Last Man on The Moon. 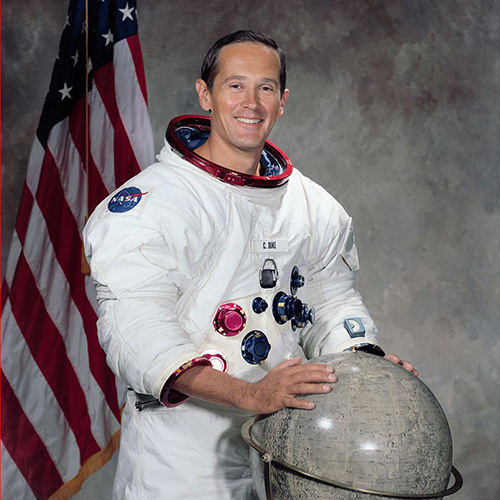 Charlie Duke was Capcom for the Apollo 11 moon landing, the astronaut who spoke to Neil Armstrong and Buzz Aldrin as the Eagle Lunar Module descended to the moon’s surface. Then, as Apollo 16’s Lunar Module Pilot, he became the tenth and youngest man to walk on the lunar surface, where famously he left a picture of his family. 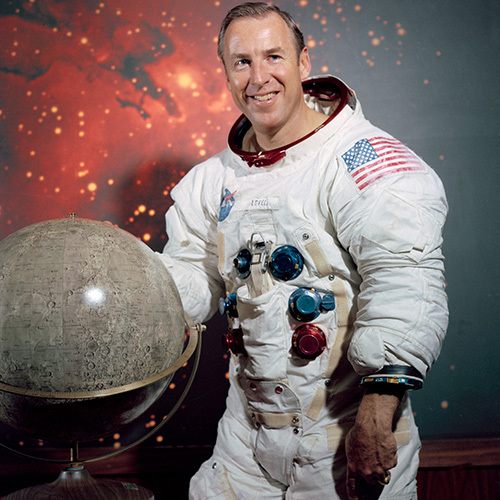 Jim Lovell, played by Tom Hanks in the movie Apollo 13, is a true icon of the space race and participated in three of the greatest NASA missions. As pilot of Gemini 7 he was part of the first space rendezvous with Gemini 6A. He was onboard Apollo 8, NASA’s first mission to orbit the Moon and one of the first people to see Earthrise. He then was commander of the ill-fated Apollo 13 mission.